The Coal Authority has welcomed the findings of a Triennial Review recommending that it continues to carry out its current functions. 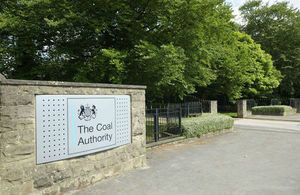 The Coal Authority has today, 17 December 2014, welcomed the findings of a Triennial Review into its work by government, which has recommended that it should continue to carry out its current functions in its present form. The review takes place every three years to consider whether the Authority’s work is still relevant and needed today. Many individuals and organisations giving evidence to the Triennial Review said that the Authority’s work to clean up mine water pollution and deal with public safety and subsidence issues is vital. The Authority is now working to become more self-sufficient by developing its range of commercial products and services, whilst continuing to deliver its statutory duties in dealing with Britain’s mining legacy. It is also looking at ways to share its expertise in resolving the impacts of mining by providing advice and services to governments, public bodies and organisations in the UK and overseas. “In our five year plan we outlined our commitment to being a world leader in resolving the impacts of mining. The results of our Triennial Review are excellent and I am delighted that the work of our expert team has been recognised by government and our stakeholders. For updates on the Coal Authority’s work follow them on Twitter, LinkedIn or Facebook. Millions of home owners and buyers living in coalfield areas benefit from the coal mining reports service that the Authority provides, to report any potential hazards from past coal mining, such as nearby mine shafts and the potential for subsidence. The Coal Authority also manages 70 mine water treatment schemes across Britain, which help to restore rivers and lakes from pollution caused by former coal and metal mines and protect important sources of drinking water. Its experts advise local authorities and others on issues around land stability and public safety hazards, and run a mine entry inspection programme which has carried out over 100,000 unique inspections since 2008. Triennial Reviews are a Cabinet Office mandated process for reviewing the function of Non-Departmental Public Bodies, the appropriateness of the bodies’ delivery mechanisms and their governance arrangements. The Triennial Review has two stages: Stage 1 – considers if the functions of the Authority are still relevant and necessary, Stage 2 – considers the governance processes of the Authority, to see if they comply with all applicable statute, regulation and best practice. The Coal Authority’s work handling subsidence and safety associated with former coal mines is a statutory Duty under the Coal Industry Act 1994 and the Coal Mining Subsidence Act 1991. These Duties were established to protect the public and their property from the potential impacts of past coal mining.